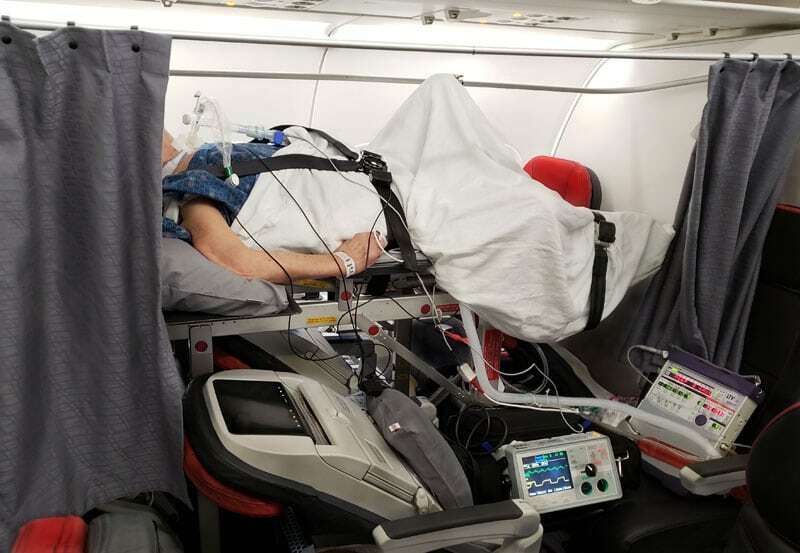 Although the majority of our patients travel safely and comfortably in business or first class, sometimes a patient’s condition requires a stretcher. In those cases we can often provide a similar level of care to an air ambulance at a fraction of the cost. We can arrange commercial stretcher service into or out of most major cities around the world, and can transport patients who are unresponsive, need ventilator support, or otherwise cannot sit up for any amount of time. Contact us today to find out what level of service is right for your patient or loved one.